The Endor Defense Station Skirmish Map sees you navigating the hallways of an Imperial defense station and taking cover among the lush trees of Endor. Two different skirmish cards provide the context for your battle. 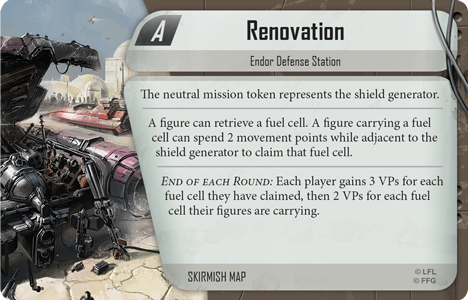 Renovation sees players competing to claim fuel cells for a shield generator, while Claim the Ruins challenges you to claim dominance over the battlefield. Regardless of your objective, the forest moon of Endor is a dangerous battlefield—does your team have what it takes to overcome your foes? 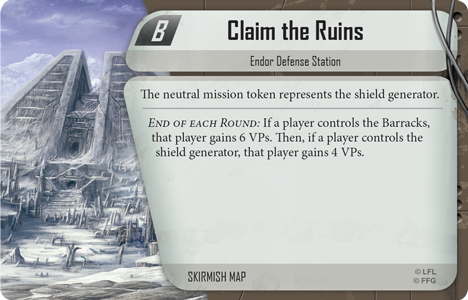 Learn a new field of battle while keeping your skirmish games organized with the Endor Defense Station Skirmish Map for Imperial Assault! What awaits your team on the mysterious forest moon? 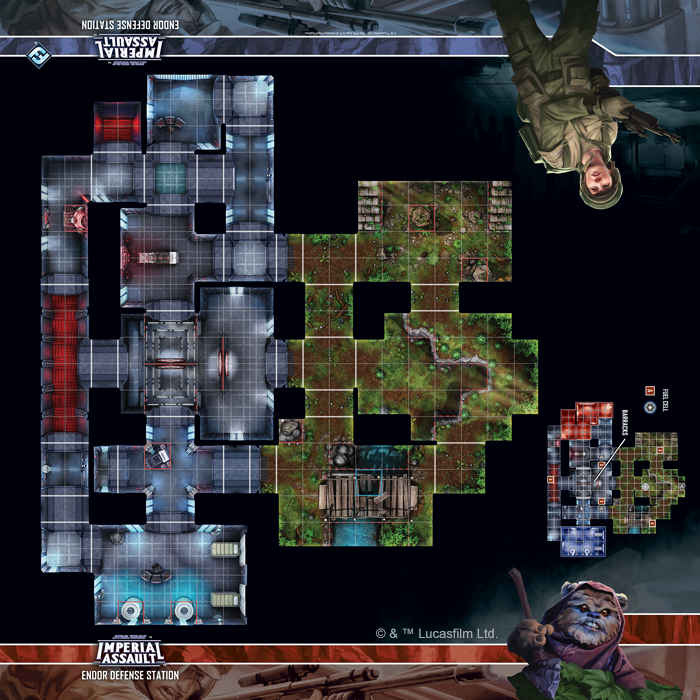 Ready your strike team with the Endor Defense Station Skirmish Map (SWI62) for Imperial Assault, available now for pre-order from your local retailer!